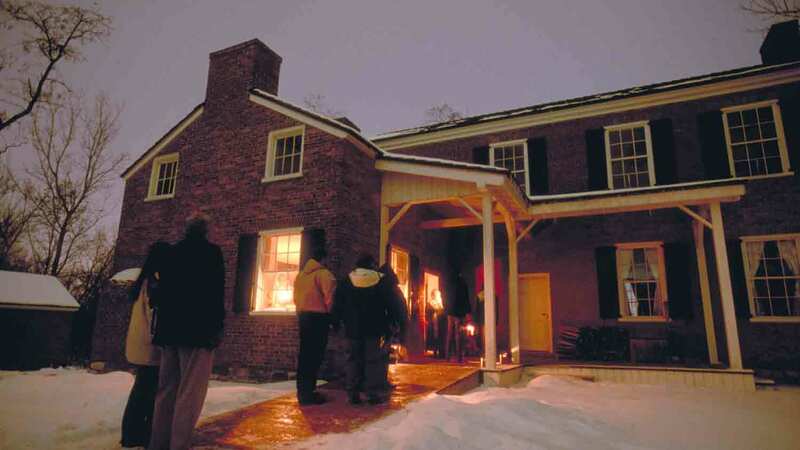 This family friendly walking tour takes you back in time to 1836 Prairietown where it’s the night before Christmas. This program allows you to tour at your own pace. and meet a variety of characters in their homes and learn how new settlers to Indiana's frontier carried on their family traditions. 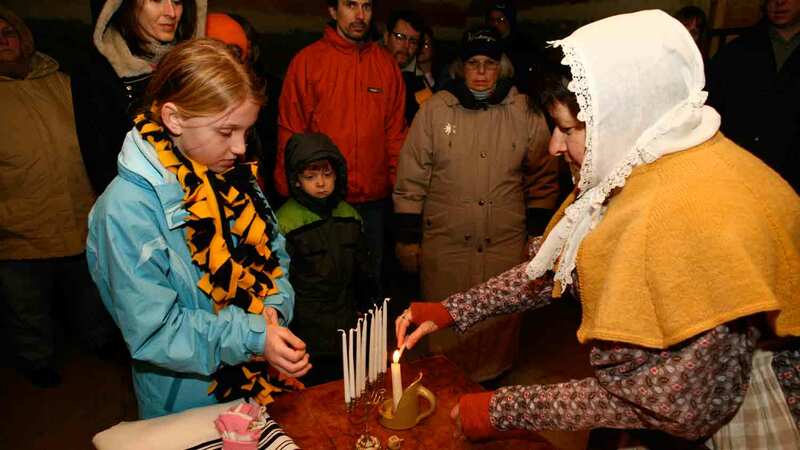 Meet the Ullmans who are celebrating Hanukkah. Discover who Belznichol is at the Golden Eagle Inn, and then call on the Curtis family to hear about Santa Claus and who he might visit that night. 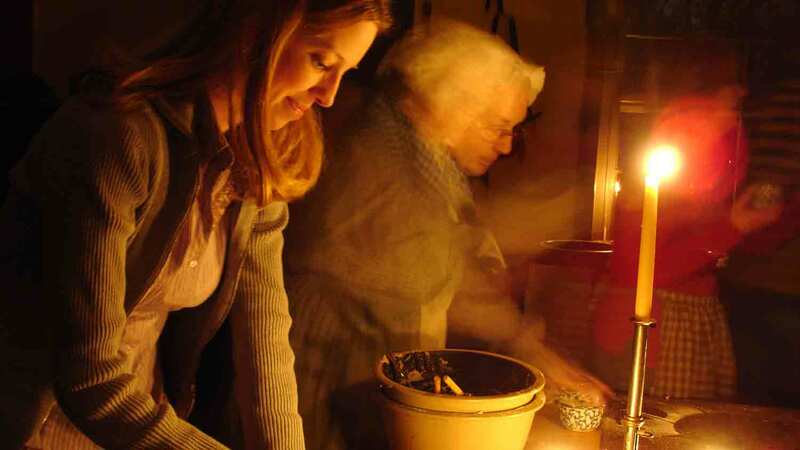 A visitor to Prairietown will surprise the schoolmaster and add her own story about the holiday. Join Dr. Campbell at his home for dancing and singing as he and his family ring in the holidays, or head over to the rowdies and listen to a story or two around the bonfire. Cost: $14-$16, adults. For ages 7 and up.